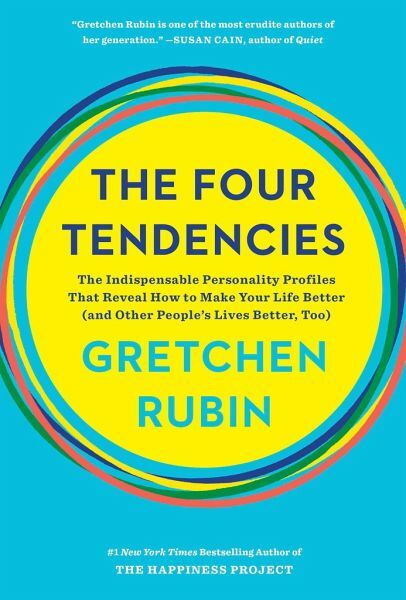 In this groundbreaking analysis of personality type, bestselling author of Better Than Before and The Happiness Project Gretchen Rubin reveals the one simple question that will transform what you do at home, at work, and in life. During her multibook investigation into understanding human nature, Gretchen Rubin realized that by asking the seemingly dry question "How do I respond to expectations?" we gain explosive self-knowledge. She discovered that based on their answer, people fit into Four Tendencies: Upholders, Questioners, Obligers, and Rebels. Our Tendency shapes every aspect of our behavior, so using this framework allows us to make better decisions, meet deadlines, suffer less stress, and engage more effectively. More than 600,000 people have taken her online quiz, and managers, doctors, teachers, spouses, and parents already use the framework to help people make significant, lasting change. 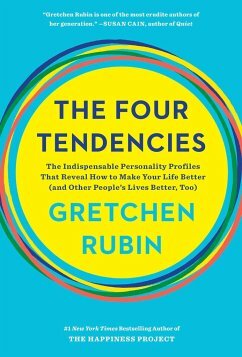 The Four Tendencies hold practical answers if you've ever thought... · People can rely on me, but I can't rely on myself. · How can I help someone to follow good advice? · People say I ask too many questions. · How do I work with someone who refuses to do what I ask-or who keeps telling me what to do? With sharp insight, compelling research, and hilarious examples, The Four Tendencies will help you get happier, healthier, more productive, and more creative. It's far easier to succeed when you know what works for you. Gretchen Rubin is one of the most thought-provoking and influential writers on the linked subjects of habits, happiness, and human nature. She's the author of many books, including the blockbuster New York Times bestsellers, Better Than Before and The Happiness Project. A member of Oprah's SuperSoul 100, Rubin has an enormous following, in print and online; her books have sold more than two million copies worldwide, in more than thirty-five languages, and on her popular daily blog, gretchenrubin.com, she reports on her adventures in pursuit of habits and happiness. She also has a highly ranked, award-winning podcast, Happier with Gretchen Rubin. Rubin started her career in law, and was clerking for Justice Sandra Day O'Connor when she realized she wanted to be a writer. She lives in New York City with her husband and two daughters.